Law Rome apples are a Fall variety that is semi-sweet and mostly promoted as a cooking apple. 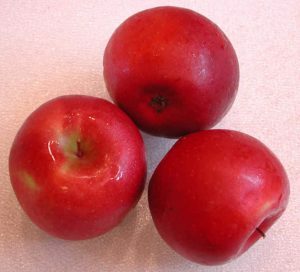 They can also be eaten raw, but they don’t have the crispness of most eating apples. We could not find any specific nutritional information for Law Rome apples, so we’ve included only general apple nutritional information. 1 3 and 5 pound bags of apples typically contain small and extra small sizes. 1 Based on analytical data for red delicious, golden delicious, gala, granny smith, and fuji varieties.